In Atlanta This Weekend? Then You Should Be At Momocon. 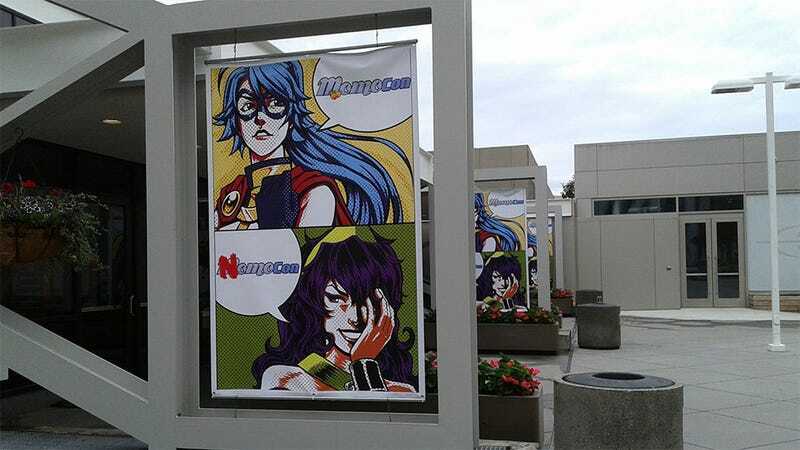 Anime and gaming convention Momocon is on day three of it’s newly extended four-day run, which leaves plenty of time to check out some cosplay, buy some vintage video games and maybe watch a Kotaku writer judge an indie game contest. When I first attended Momocon back in 2010, it was an incredibly small convention held on the campus of Georgia Tech. Now it’s a massive event spanning multiple locations—the Omni Hotel, the Georgia World Congress Center, the Georgia World Congress Center’s tiny bathrooms—with more than 20,00o people expected to attend. I was there yesterday, lugging around a loaner Alienware laptop packed with indie games that must have weighed 200 pounds. That’s because I and four other gaming professionals are presiding over the show’s Indie Gaming Showcase. Hundreds of entries were narrowed down to 20 PC and mobile indies, and at 5 PM in the Sidney Marcus hall we’ll be announcing five winners live on stage. Check out the full show schedule here to see what’s what and where. If I’m not sequestered in the judging room or up on stage, I’ll be in the dealers’ room haggling with all the vintage game sellers.